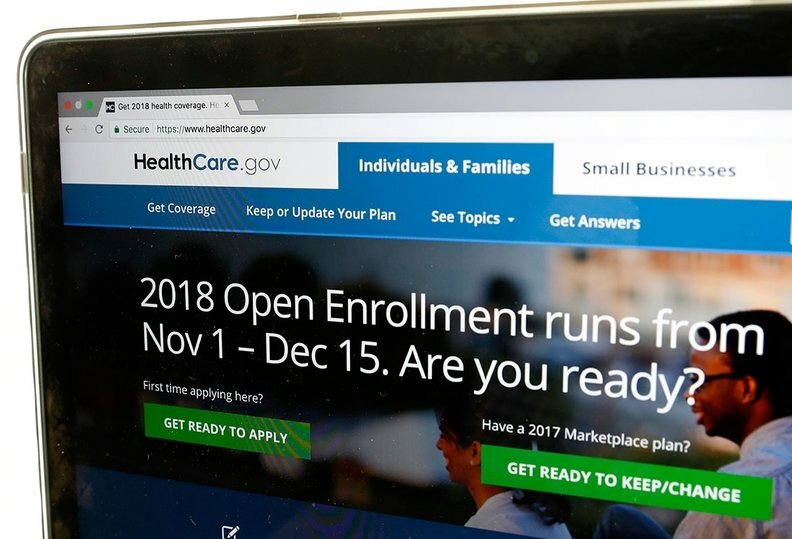 The CMS will spend $18 million to hire a company to verify the consumers who seek coverage on the federal marketplace outside of open-enrollment periods. The agency hired IntegriGuard, an Omaha, Neb.-based company that reviews medical records to confirm people are indeed eligible for special enrollments when gaining coverage on HealthCare.gov. These reasons include a move or the birth of a child. "HealthCare.gov has received criticism due to the lack of enrollment controls allowing high-risk beneficiaries to enter into (health plans) during special enrollments," the agency said in a notice announcing the contract. In 2017, the CMS estimated 650,000 people would enter the federal marketplace through special enrollment. Insurance companies have said that special enrollment enrollees tend to be sicker and more expensive than those who sign up during open enrollment. Many of them wait until they are ill to get coverage and then often drop their insurance once they've received the services they needed. This is "ultimately impacting the individual market risk pool and increasing premiums through inappropriate enrollment," the CMS said in the contract award notice. Last year, the agency issued a rule that allowed insurance companies to refuse coverage to people who haven't paid their premiums. The rule last year also finalized a policy that requires anyone who signs up during special enrollment to provide strict documentation such as a new lease or birth certificate. Their enrollment will be delayed every year until eligibility verification is completed. IntegriGuard has a data source that makes it easier for the CMS to verify individuals. The current method of having customers upload documents that need to be verified is expensive and time-consuming, the CMS said. IntegriGuard's verification process uses real-time data searches, potentially approving applications much faster. The CMS did not award the contract through a competitive bid process, rather it said it found that IntegriGuard was the only company that had the databases and expertise needed to do the work.